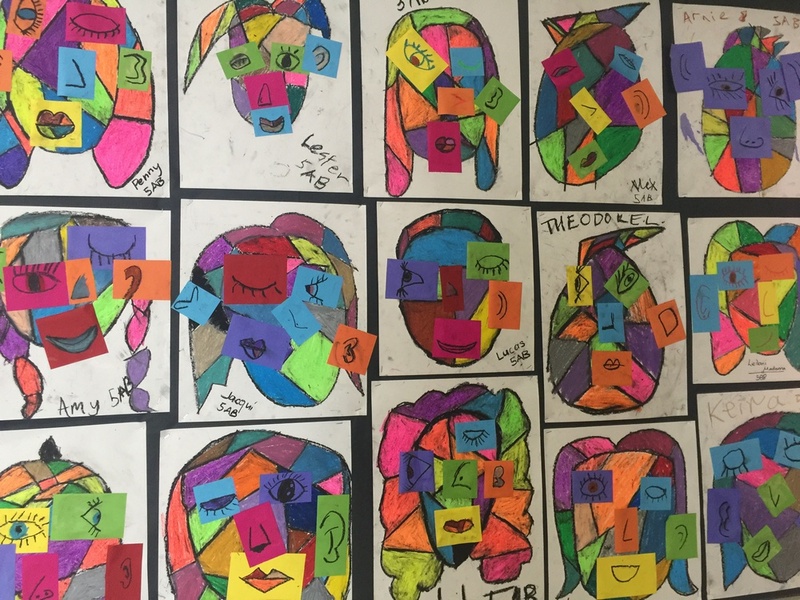 When Shelley Ware sent me this week’s blog post I was amazed by all the photos of the beautiful artwork. But truly, the photos don’t do the work justice! Head to school pick-up a few minutes early one day and take a walk down the corridors to see all of these amazing pieces up close. What a creative fun start to the Art year we have had at Kew Primary School. 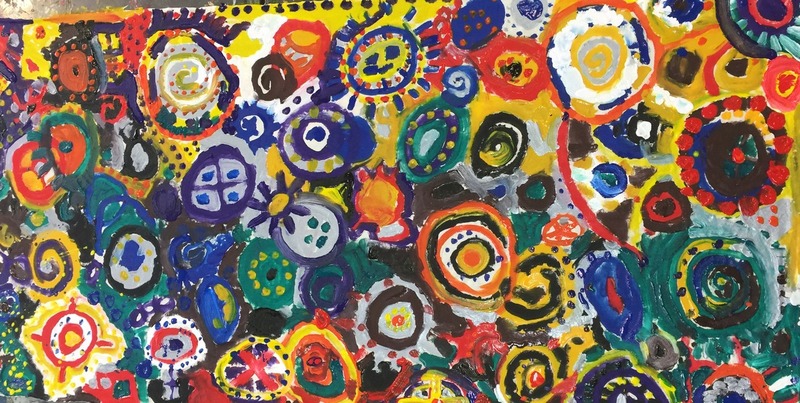 We started off with all of the classes completing a Collaborative Circle painting on calico. They are an amazing 1m x 2m in length and all are collaborative masterpieces. You will see them hanging proudly in and outside of the classrooms throughout the school. There is also one hanging in the art room that every student in the school was asked to paint on. It’s beautiful so please feel free to come into the art room and have a look anytime. The Prep students have completed a wonderful program with Kerry on how to use different paints and exploring different paint techniques and strokes. They are also exploring collage and are having a lot of fun in the art room together. A perfect start to the year of Art ahead. The Year 1 and 2 children have spent the term with either Kerry or Shelley exploring clay, molding, joining and finally painting their creations. They had a lot of fun getting dirty hands and being creative with clay. 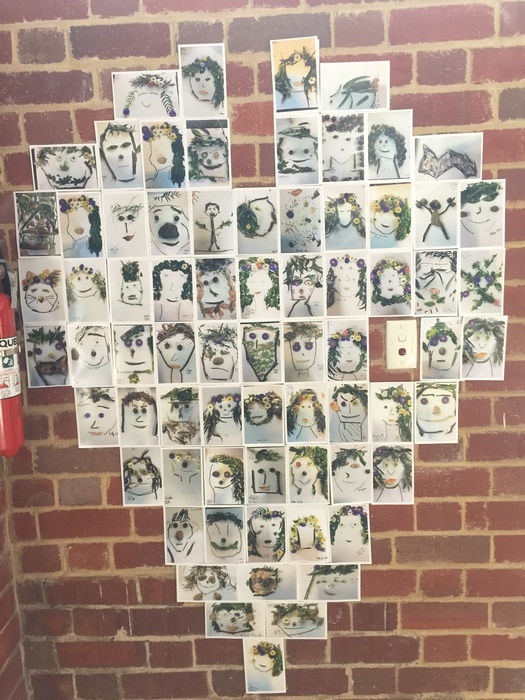 The middle and senior school have explored their identity through different art techniques. Shelley shined a spotlight on Picasso’s brilliant work and they explored his many different periods. 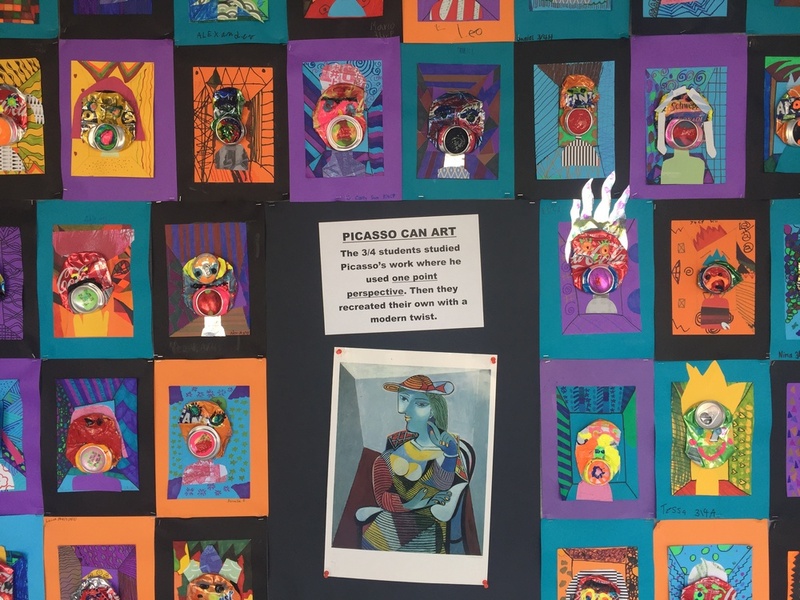 The students created some stunning pieces of work that were highly influenced by Picasso. 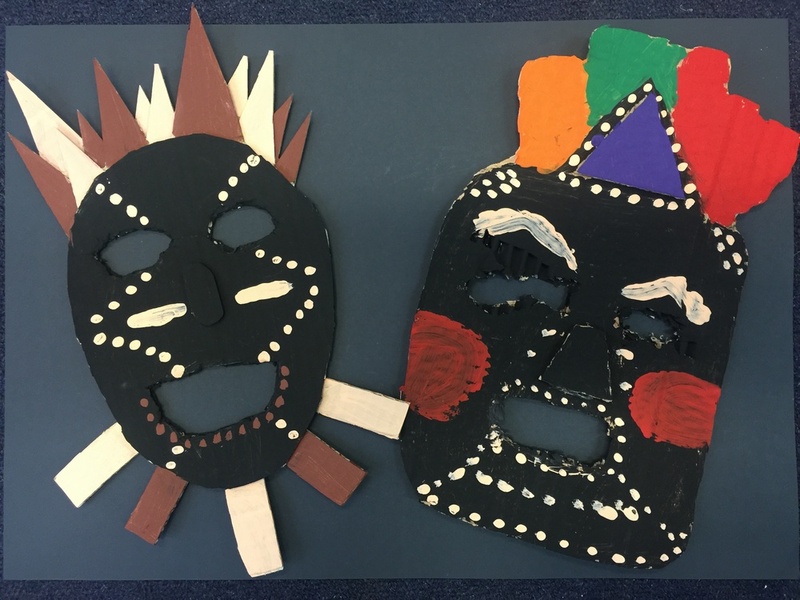 They explored Picasso’s cubism and how he was influenced by African masks during his cubism period. The students looked at his use of one point perspective in his art and the way Picasso used colours in his work. Overall you could say the start of the year has been a huge success. 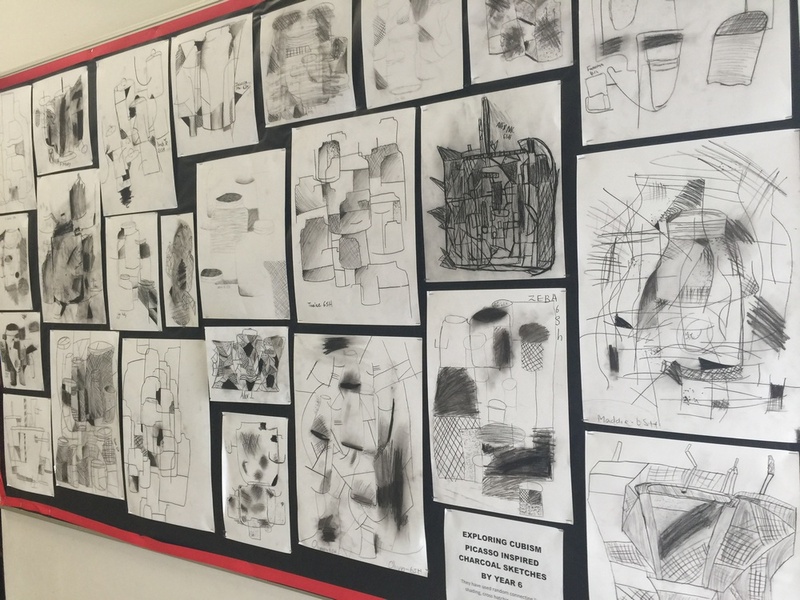 The corridors are covered in the students amazing art work, so make sure you come and have a look. If you can’t make it, they will be home soon enough for you to enjoy too. Kerry and Shelley look forward to a year of fun art classes with the children helping them explore their creativity. 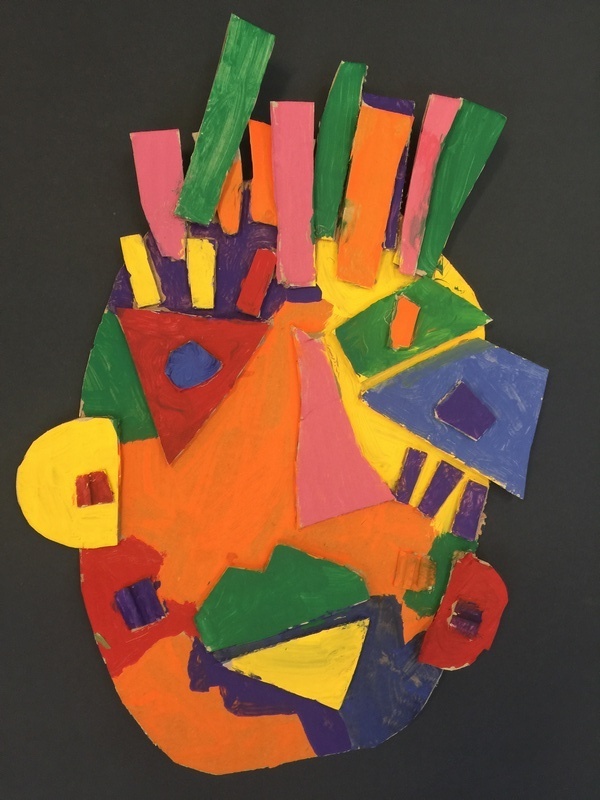 This entry was posted in Learning and tagged art, art teaching by Kate W. Bookmark the permalink.